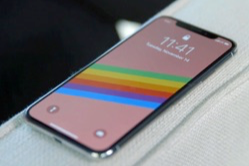 Just updated to a new iPhone X/XS (Max)/XR and want to send some ringtones from your old iPhone to it? Read this guide to get the quick solution. 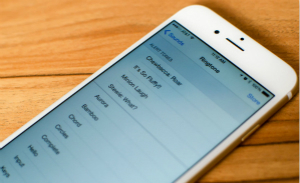 The iPhone comes with a set of built-in default ringtones. If you think this selection of ringtones are limited, you can still purchase ringtones from iTunes Store. If you collected so many awesome ringtones on old iPhone and just get one new iPhone 8 or iPhone X, you will definitely want to directly transfer them to the new iPhone. The how to make it? 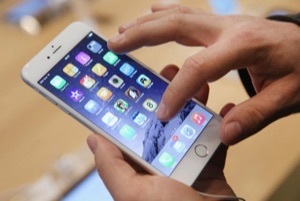 In the past, iTunes might be the first choice when it comes to syncing iPhone data. 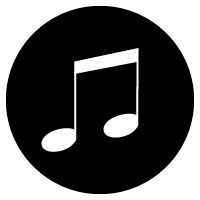 However, since iTunes 12.7, you may have noticed that there is no Tones tab, because Apple has removed the ability to manage ringtone, that is to say, you can’t use iTunes 12.7 to sync ringtone anymore. But don’t worry, there’s another way to help you, that’s AnyTrans for iOS, one professional iTunes alternative. 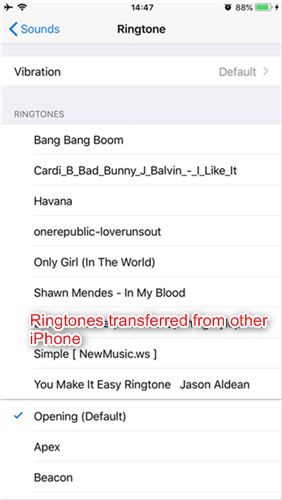 Here in this guide, we will show you how to transfer ringtones from iPhone to iPhone via AnyTrans for iOS. And also tells you the iTunes way if you are stilling use the older iTunes version. Let’s get it on. AnyTrans for iOS is an award-winning iTunes alternative, which can help you manage your iPhone content in a smart way. As for ringtone management & transfer, here are some outstanding features. 1. 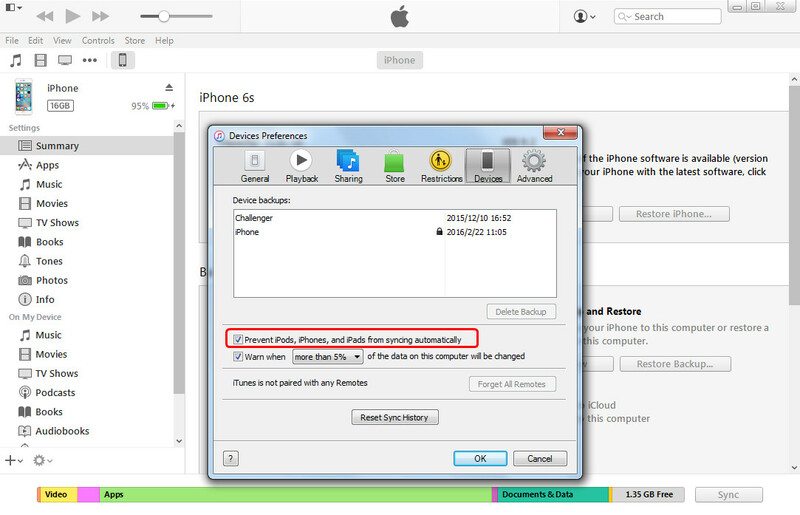 It helps you transfer ringtones (purchased or non-purchased ones) from iPhone to iPhone directly. 2. 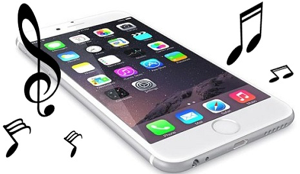 It allows you to transfer ringtones from computer to iPhone. 3. It also can help you make your own ringtone with audio files (no mater MP3, M4A or other formats), enables you to transfer them to your iPhone as ringtone. 4. Guarantees you 100% Security. 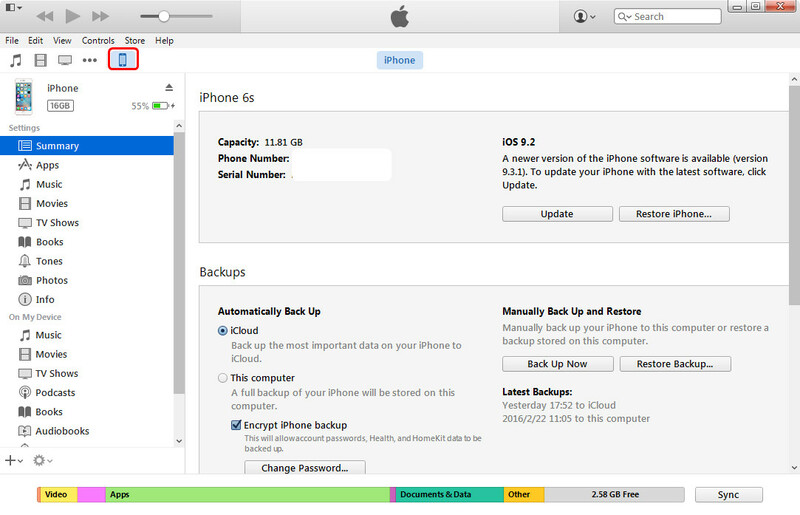 During the process, all the contents on your iPhone will be kept safe, and you won’t lose any data or file. How about give it a try? 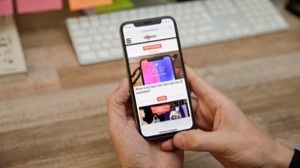 It works well on both PC and Mac computer, and supports old iPhone 5s/6/6s/7/8/X and new iPhone XS (Max)/XR. Download it now and follow us to transfer ringtone from iPhone to iPhone. Step 1 Open AnyTrans for iOS on your computer > connect your two iPhones to the computer via USB cables. Then click on Device Manager. Step 2 On the homepage of AnyTrans for iOS, click “Audio”, then select “Ringtones” to enter the manage page. Step 3 Choose the ringtones you want to transfer, and click the “To Device” button on the top-right of this window to send ringtones from iPhone to Phone. Here take 3 ringtones for example. Step 4 View the transferred files, and set them as ringtones on your iPhone. To check the transferred ringtones, just go to Settings > Sounds > Ringtone. You can see the 3 transferred ringtones already on your new iPhone now. Notes: Besides ringtones, AnyTrans for iOS also lets you manage and transfer other 20+ types of iOS data like contacts, photos, music, videos, messages, notes, etc. 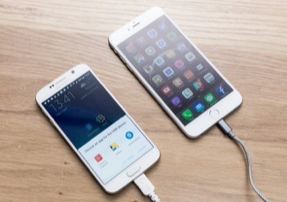 If you just get one new iPhone, it can help you switch from old iPhone to new iPhone smoothly. And if you want to add ringtones to iPhone in the Device Manager section, you need to know that it only supports the m4r format. While if you are still using the older iTunes versions, you can still apply iTunes to transfer ringtones from iPhone to iPhone. And the detailed steps are below. 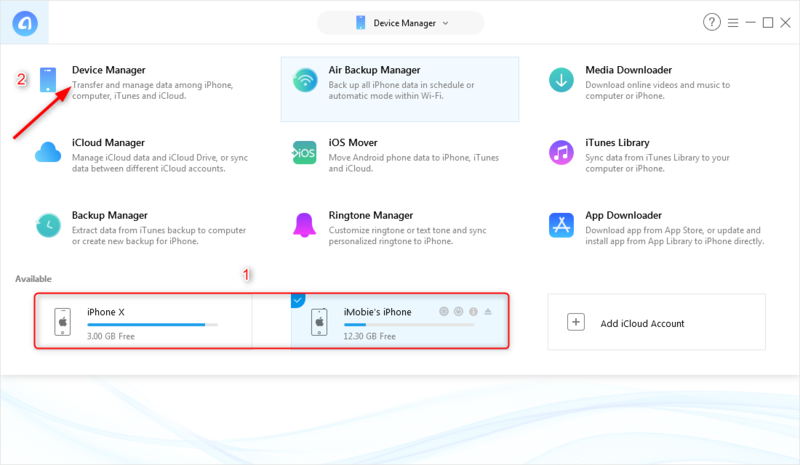 But before taking this method, you need to notice that the whole process is about transferring the ringtones on one iPhone to iTunes library, and then syncing to another iPhone from iTunes library. There are two major problems you probably care about. 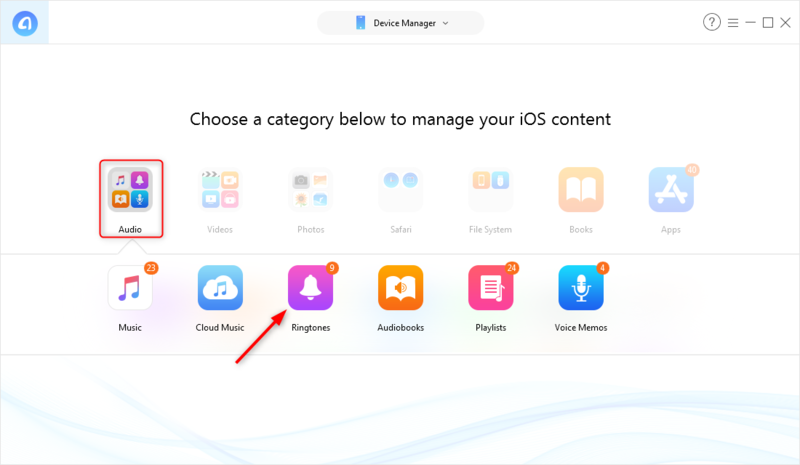 1. iTunes only supports purchased items transferring to iTunes library, which means that only purchased ringtones on your iPhone can be transferred to another, not including those items from other sources. 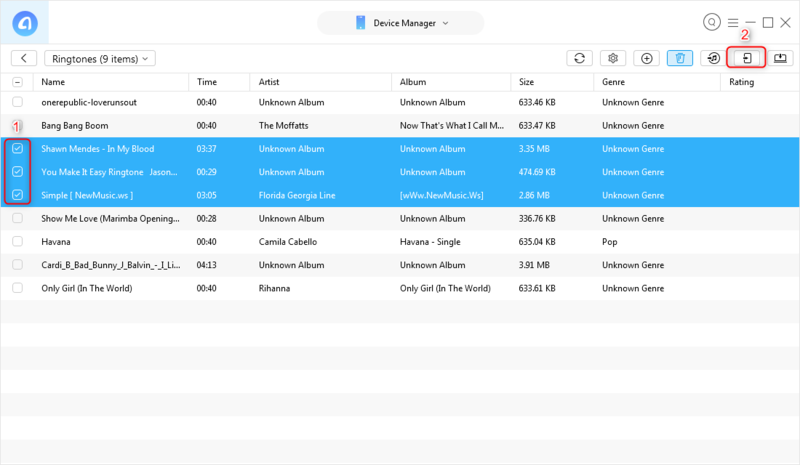 2. iTunes syncing will erase the existed media files, such as songs, videos, ringtones, and more, on iPhone. If your iPhone is not totally new, but with many important data, you had better not taking iTunes to transfer ringtones from iPhone to iPhone. 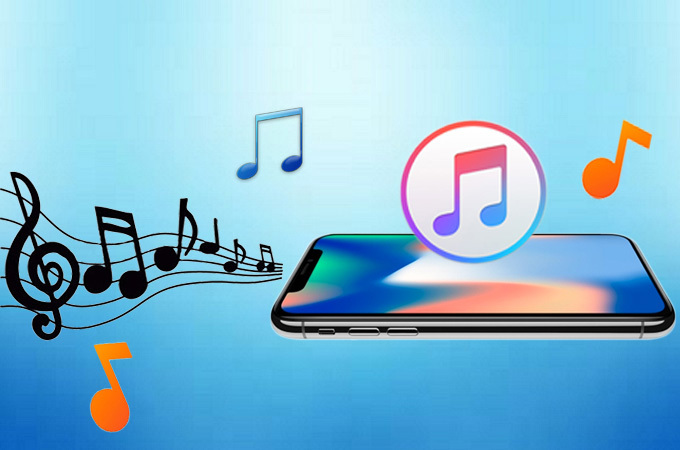 If you want to transfer ringtones from other sources, or do not want to lose any previous data on the target iPhone, please refer to Part 1 to get the solution. Step 1 Open iTunes, and go to Edit > Preference > Devices > Check Prevent iPods, iPhones and iPads from syncing automatically. Step 2 Connect your old iPhone to computer via USB cable, and launch iTunes if it is not running automatically. Step 3 Click File > Device > Transfer Purchases at the upper corner. And then click Apply at the right bottom. 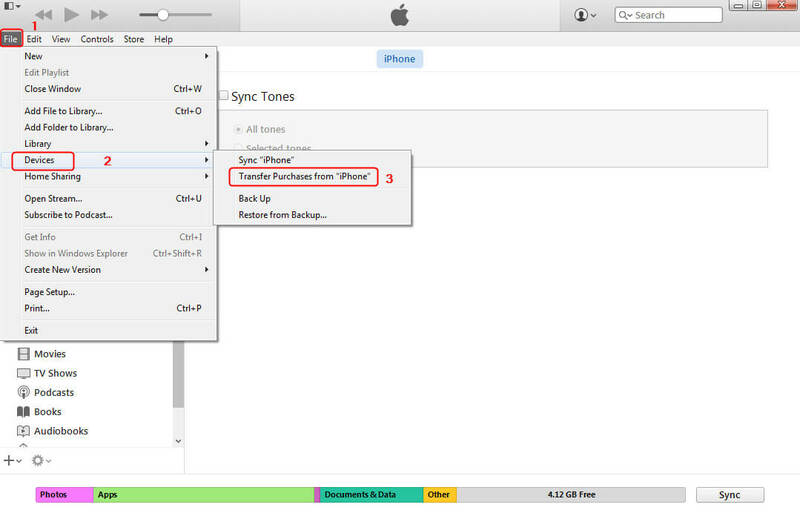 iTunes will automatically sync the purchased ringtones to the iTunes library. Step 4 Disconnect the iPhone from the computer and connect another iPhone to iTunes. Click on your iPhone, and choose the Tones. Check the box for Sync Tones and then check the ringtones you want to sync. (Note: There are 2 options available, check All tones to sync all ringtone files, or check Selected tones to select the specified ringtones that you want to transfer.) At last, click Sync button in the bottom right corner of iTunes, it will start transferring ringtones from iPhone to iPhone via iTunes. 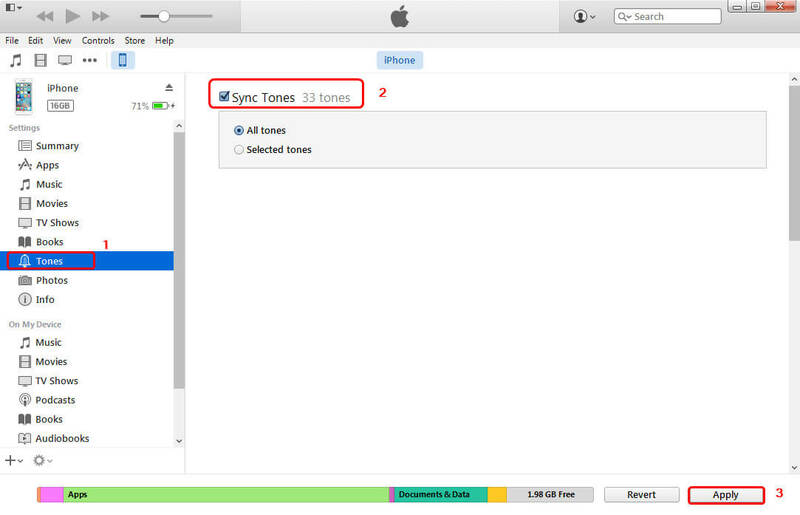 And the synced ringtone files from iTunes library will show up on your iPhone as a ringtone automatically.